The post I put out yesterday about the book my children wrote has been great – thank you! (click here or type in http://bit.ly/NEzWll into your web browser in case you missed it or want to see it again). I also appreciate the comments you have put in on the blog, and my children have loved reading the comments in the reviews of the book. I will say I laughed out loud at my daughter’s comment to the two-star review, but I told her you have to take the bad with the good! I’m very proud of them for showing the entrepreneurial spirit and setting a goal, mapping out a plan to achieve the goal, and seeing the smiles on their faces as they realize they completed the job at hand – they learned a lot about technology along the way – and now they are very interested in sales ranking, how they compare to similar offerings, and have taken the comments each of you have put down on the blog’s page or the reviews of the book to heart: they are discussing various options for additional books…I think collectively we have unleashed two budding entrepreneurs! I’m sure I’ll ask (i.e., plead) again concerning the book, and I will be sure to let you know how their little venture progresses as they get closer to being able to go on the trip or not. Amazon did something a little strange yesterday – they had a press release announcing the Kindle Fire was sold out. They’ve done that in the past, as I remember a similar press release when the original Kindle and Kindle 2 were sold out just prior to Christmas. The announcement of the Kindle Fire being out of stock was not the strange part, as this press release had a different twist: there was no announcement of when they would be back in stock, nor was there a prognostication or announcement of a new version. Amazon has a mystery press conference on September 6th scheduled in a large venue – but they haven’t announced a topic for the event. My guess is a new generation of Kindles will be announced, but since Jeff Bezos or the VP’s over at Amazon haven’t consulted with me I’m just one of the many bloggers engaging in open speculation. My guess is Amazon, in addition to announcing a new Kindle Fire, will make the Kindle Fire available in Europe and possibly the rest of the world (more on that in the next section of this post). The refurbished Kindle Fire that also comes with a one-year warranty (same warranty as a new one) was out of stock yesterday, back in stock this morning for just $159, and are out of stock again this afternoon. To grab one of these, you can click here or type in http://bit.ly/firedeal into your web browser to keep checking to see if they become available again. The Kindle Touch – both the wireless and 3G versions – are out of stock. Hmmm…what do you think? If you’re on the blog’s web page (www.fkbooksandtips.com), I’d love to hear your comments: just post away at the bottom of this post using the comment area! I could have sworn I predicted something like this earlier this month…. (I did – click here to see it). Amazon had yet another press release Wednesday night – the Amazon App Store for Android-enabled devices is now available in the UK, Germany, France, Italy, and Spain; previously, the app store had been open only to residents of the USA. That announcement, combined with the announcement the Kindle Fire is sold out, leads me to believe the Kindle Fire will be shipped to customers in Europe – if the customers in Europe are now going to be able to legally have a Fire (and I know there are literally thousands of them already being used in Europe that arrived there by various means), Amazon’s getting ready to make some more money by selling these new Fire customers apps from their branded app store. Makes sense to the accountant in me! You can check out Amazon’s App Store if you click here or type in http://bit.ly/gettheapps into your web browser. In a nutshell, there are a lot of changes…as for me, I’m hoping to have a fairly relaxing long weekend for the Labor Day holiday here in the USA and I hope you do, too! Here are six FREE Kindle books for you in the Amazon Kindle store: that makes 21 (so far) for today, so hopefully each of you has found something from the various genres / categories. In addition to this post, you can always go to the blog’s website and look at prior posts and see what you missed (if you were reading this via email or a mobile device). Just click here or type in www.fkbooksandtips.com into your web browser and click away! Once you get to the bottom of the main page, just click the “Previous” icon located in the lower left-hand corner, or click on one of the “Categories” on the left-hand menu. As of this posting, each of the books was free on the Amazon website but please make sure you check the pricing before you smack the “buy” button as the pricing can (and does) change at any time! Nobel Cause: A Civil War Novel of Love and War by Jessica James has received an average user rating of 4.5 out of 5 stars based on 31 customer reviews. Author’s Note: This novel is a new version of Shades of Gray with a Happily-Ever-After ending. 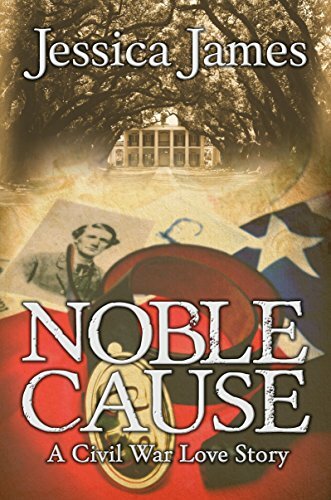 Noble Cause is the recipient of the coveted John Esten Cooke Award for Southern Fiction and captured the title for Regional Fiction in the 2011 Next Generation Indie Award contest. It was also a Bronze winner in Foreword Magazine’s BOOK OF THE YEAR AWARD contest in the Romance category, and was a Finalist in the USA “Best Books 2011 Awards for Historical Fiction. Author Jessica James uniquely blends elements of romantic and historical fiction in this deeply personal and poignant tale that, according to one reviewer, “transcends the pages to settle in the very marrow of the reader’s bones.” Winner of numerous national awards, James has received critical acclaim for this page-turning story of courage, honor, and enduring love. Destined for an honored place among the classics of the American Civil War, Noble Cause is a book to read, and keep, and remember forever. USA subscribers: click here or type in http://amzn.to/Ruvzu5 into your web browser to receive your free copy. UK subscribers: click here or type in http://amzn.to/PxokSF” into your web browser to receive your free copy. 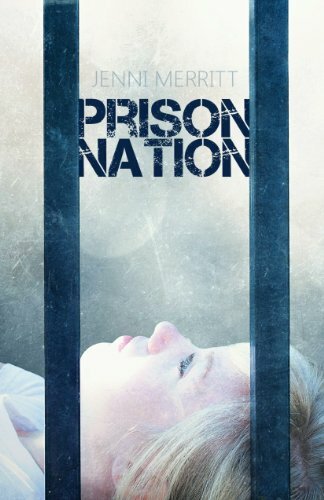 Prison Nation by Jenni Merritt has received an average user rating of 4 out of 5 stars based on 66 customer reviews. In the Nation, no one is innocent – not even the children born behind bars. Millie 942B has spent her entire life locked away with her criminal parents and countless other inmates. She believes in the Nation, in its strict laws and harsh punishments. But when Millie is released on her eighteenth birthday, she finds things are nothing as she was taught. People vanish, never to be seen again. Lies cover every word. Trust is as fragile as ice. And then there is Reed. Born and raised outside the Prison walls, his dreams and thoughts cause Millie to doubt everything she has ever believed. What is truly worth fighting for? If she pushes too hard, she could lose her freedom. If she stays silent, she could lose herself. The clock is ticking, and Millie must find the truth before it is too late. USA subscribers: click here or type in http://amzn.to/GLg7Ya into your web browser to receive your free copy. UK subscribers: click here or type in http://amzn.to/O9CNUJ into your web browser to receive your free copy. The Pineville Heist by Lee Chambers has received an average user rating of 4 out of 5 stars based on 60 customer reviews. THE STORY: Seventeen year old Aaron stumbles into the aftermath of a five million dollar bank heist gone wrong. Hiding under a canoe, Aaron partially catches the murder of one of the robbers. In the chaos he sneaks away with the money and heads straight for the closest place of safety, his high school. Terrified, Aaron tells his shocking tale to Amanda Becker, his drama teacher, but it doesn’t take long for one of the psychotic robbers to show up. In the locked down school the pair are relentlessly pursued in a quest to get the money back and wipe out the evidence. 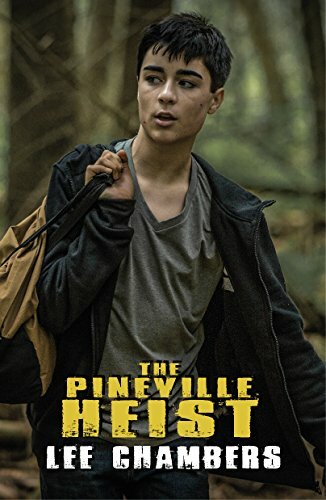 The Pineville Heist is based on the award-winning screenplay by Lee Chambers and Todd Gordon. Script consultants included a (former) Senior VP of Production at Universal Pictures and the author of the Screenwriter’s Bible. NEWS: Twilight Saga movie star Booboo Stewart (Seth Clearwater) just signed on to play Aaron Stevens in The Pineville Heist movie set to go to camera in the spring of 2013. USA subscribers: click here or type in http://amzn.to/Hq4f1P into your web browser to receive your free copy. UK subscribers: click here or type in http://tinyurl.com/8z5ccyy into your web browser to receive your free copy. 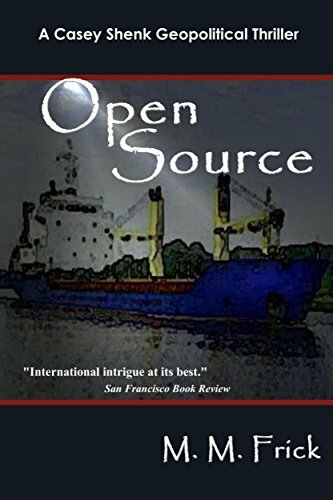 Open Source by Matthew Frick has received an average user rating of 4.5 out of 5 stars based on 41 customer reviews. USA subscribers: click here or type in http://amzn.to/vn3rOz into your web browser to receive your free copy. UK subscribers: click here or type in http://tinyurl.com/9zav3uk into your web browser to receive your free copy. The Coppersmith by Michael J. Scott has received an average user rating of 4.5 out of 5 stars based on 5 customer reviews. 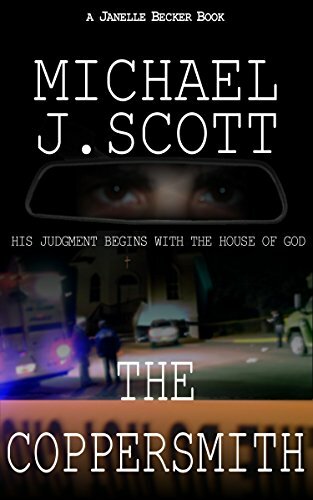 A religious fanatic bent on murder, he begins systematically eliminating pastors in Upstate New York. From small towns to large cities he selects his victims, seemingly at random, and subjects them to a torturous death. Janelle Becker is the agent with the FBI’s Behavioral Analysis Unit charged with solving the crimes. But even with the Bureau’s resources, she finds herself ill-prepared to unravel the Coppersmith’s message. Why do his methods keep changing? How can they know where he’ll strike next? And can she escape her own dark past before it’s too late? As she and her fellow agents track down the clues of the Coppersmith, they find themselves following an ancient itinerary that hearkens back to the steps of the apostle Paul. It becomes a race against this faceless killer as they struggle to predict his movements and get ahead of his deadly message of judgment. Can they stop him in time? USA subscribers: click here or type in http://amzn.to/OD89CL into your web browser to receive your free copy. UK subscribers: click here or type in http://amzn.to/OD8fdw into your web browser to receive your free copy. 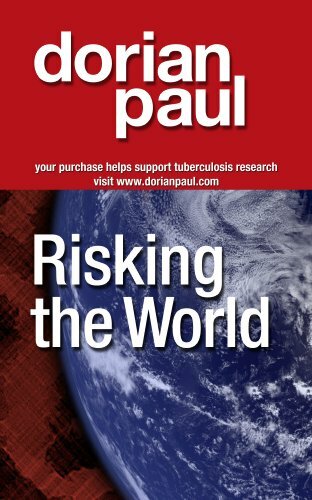 Risking the World by Dorian Paul has received a perfect 5 out of 5 stars based on 25 customer reviews. USA subscribers: click here or type in http://amzn.to/O1pGt7 into your web browser to receive your free copy. UK subscribers: click here or type in http://amzn.to/NH6Dia into your web browser to receive your free copy. Want to have this blog sent wirelessly to your e-Ink Kindle vs. reading it on your computer? Try out the free two-week trial subscription! Click here for the Amazon page of the Free Kindle Books and Tips blog or type in http://www.tinyurl.com/fkblog into your computer’s web browser. Download the Free Kindle Books and Tips blog app for your Kindle Fire or Android-based smartphone or tablet – for free, of course – by clicking here or type in http://amzn.to/freefireapp into your computer’s web browser from the Amazon App Store or click here or type in http://bit.ly/fkbtgoogle into your computer’s web browser for the Google App Store. Here are seven FREE Kindle books for you in the Amazon Kindle store: as of this posting, each of the books was free on the Amazon website but please make sure you check the pricing before you smack the “buy” button as the pricing can (and does) change at any time! 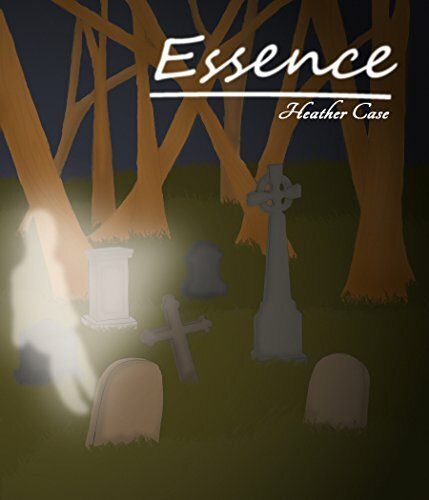 Essence by Heather Case has received a perfect 5 out of 5 stars based on 12 customer reviews. I received a note from the author saying this book would be free through September 1st. Ana Drummond is a seventeen-year-old who finds herself being uprooted from her diverse neighborhood in Chicago at the end of her junior year. As she arrives in rural Georgia to accommodate her mother’s career, Ana finds her resentment for her mother growing as her Latino family struggles to acclimate in the small community they now call home. Not only does Ana struggle with the nuances of southern society, she also wrestles to define who she is and what she wishes to become in light of the death of her father and her estranged relationship with her mother. Ana’s fervent requests to return to Chicago begin to wane when she discovers Elijah, the soul of a former slave, that dwells in her house. As Ana’s relationship with Elijah develops, he helps her understand the essence of being human and the importance of defining herself independent of the expectations of others. Her interactions with Elijah unveil the frailty of a soul unfettered by a human body. Just when she believes there are endearing qualities in her new life, Ana and her brother, Gabe, are the targets of a racial assault. Elijah intervenes in the assault to ensure that Ana and Gabe escape, but Ana finds herself in the ironic position of trying to convince her mother that the family should stay in Georgia to pursue tolerance and justice. USA subscribers: click here or type in http://amzn.to/PFWpyV into your web browser to receive your free copy. UK subscribers: click here or type in http://amzn.to/R2e57H” into your web browser to receive your free copy. 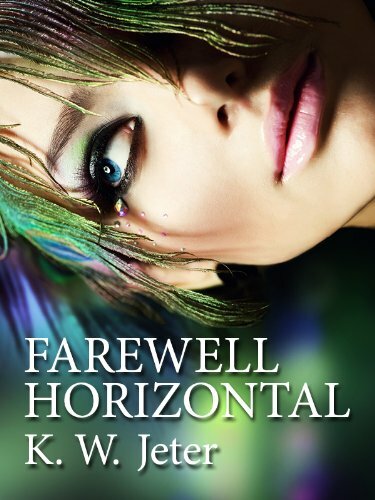 Farewell Horizon by K.W. Jeter has received an average user rating of 4.5 out of 5 stars based on 10 customer reviews. I received a note from the author saying this book would be free through September 7th. A hustling young artist finds himself on the run from warring tribes, mysterious conspirators, body-swapping hackers and more, as he tries to both survive and strike it rich on the vertical surface of a skyscraper big enough to be its own world. USA subscribers: click here or type in http://amzn.to/TErQM6 into your web browser to receive your free copy. UK subscribers: click here or type in http://amzn.to/TErWDy into your web browser to receive your free copy. Torch Ginger by Toby Neal has received a perfect 5 out of 5 stars based on 24 customer reviews. I received a note from the author saying this book would be free through September 3rd. 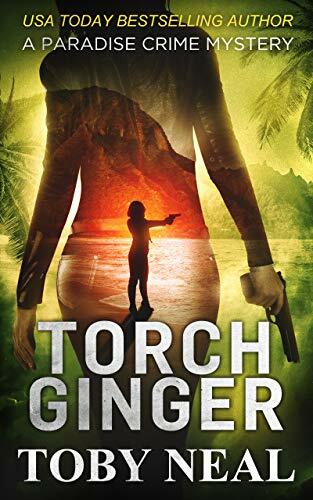 The island of Kaua`i is remote jungle, golden beaches and ancient culture—but transients are disappearing in paradise, and only Detective Lei Texeira notices. Fleeing a failed engagement, Lei transfers to the island of Kaua`i, where she uncovers a pattern of disappearances that may be related to a bizarre cult—or is it just one madman at work? In Lei’s world, everyone is guilty until proven innocent. In Blood Orchids Lei battled her personal demons and won—but now they’ve come roaring back with reinforcements, including charming real estate magnate Alika Wolcott and former fiancé Michael Stevens. In the midst of the biggest case sleepy Kaua`i has ever seen, Lei must also discover who she loves. USA subscribers: click here or type in http://amzn.to/O18ELN into your web browser to receive your free copy. UK subscribers: click here or type in http://amzn.to/S5soQd into your web browser to receive your free copy. 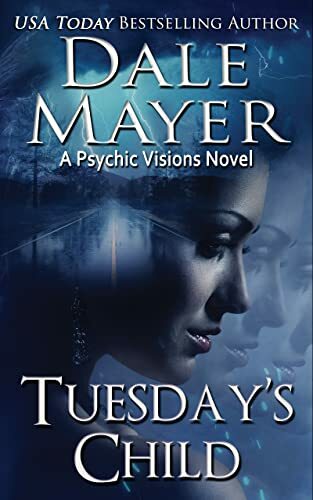 Tuesday’s Child by Dale Mayer has received an average user rating of 4.5 out of 5 stars based on 70 customer reviews. I received a note from the author saying this is the last day for this book to be free. USA subscribers: click here or type in http://amzn.to/KG7m4E into your web browser to receive your free copy. UK subscribers: click here or type in http://tinyurl.com/9trevdu into your web browser to receive your free copy. 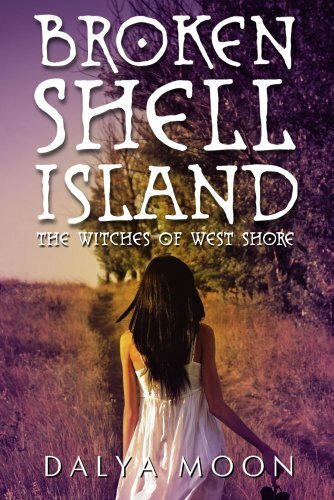 Broken Shell Island, The Witches of West Shore by Dalya Moon has received a perfect 5 out of 5 stars based on 4 customer reviews. Opal gets a dirty old suitcase for her birthday. She’s not impressed. Her grandfather tells her she’ll need it, because she’s going to live with her great aunt on Broken Shell Island. Opal wonders if her grandfather hasn’t gone senile, because Broken Shell Island is a made-up magical place that their family friend Flora Fritz writes picture books about. Oh, but the island is real. And magic. Opal encounters magical plants, animals, and danger, too. The evening she arrives, a body is discovered in the woods, not far from where she passed through. Worse, a terrifying creature has emerged from the ground, and it hungers for the innocent, whether the people of the island believe in it or not. While young Opal is eager to fit into her new life, perhaps becoming a witch, she’s mainly concerned about surviving her first week. Riding a unicorn is not quite the experience she expected, nor is her first encounter with hair-styling pixies. Life is beautiful, magical, and perilous, on Broken Shell Island. Ages: Family-friendly, no swearing or mature content beyond some adventure-type action and violence. USA subscribers: click here or type in http://amzn.to/OFHzwb into your web browser to receive your free copy. UK subscribers: click here or type in http://amzn.to/Q7Cnku into your web browser to receive your free copy. 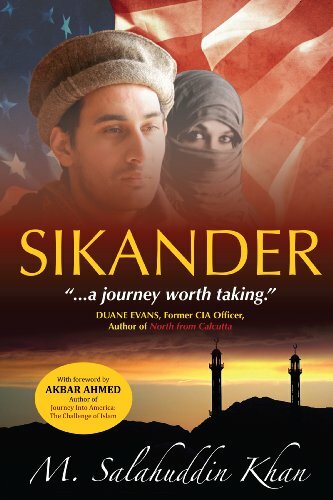 Sikander by M. Salahuddin Khan has received a perfect 5 out of 5 stars based on 60 customer reviews. Winner of the Grand Prizes in each of the 2010 Los Angeles Book Festival and the 2011 Paris Book Festival, SIKANDER is the tale of the son of a Pakistani middle-class family. It’s 1986. Seventeen-year-old Sikander, dreams of studying and living in America, but after a family quarrel, he leaves his Peshawar, Pakistan home. Encountering mujahideen warriors, he joins them in their fight against the occupying Soviets in neighboring Afghanistan. American assistance is stepped up with advanced weapons, like the Stinger missile, and the mujahideen are able to neutralize the Soviet military advantage. After just two years following Sikander’s arrival, a Soviet withdrawal begins. Amid the turmoil, Sikander finds love and marries a young, sharp-witted Afghan village girl. With the fighting all but over, the couple decide to move to Sikander’s Pakistan home where he hopes to reconcile with his family. But his dream of living in America endures. It’s a dream that is shattered in the aftermath of 9/11 and in seeking to help his Afghan relatives, Sikander, now a successful entrepreneur, finds himself on an unavoidable collision course with the America of his dreams. SIKANDER takes us from the pricey suburbs of Peshawar to the primitive war-torn landscape of Soviet-occupied Afghanistan, to the placid serenity of Scotland, through the camps of Guantanamo, and finally, corporate America. It is a 21 year journey through freedom and captivity, love and loss, wealth and poverty, dignity and humiliation, and transgression and redemption. A rare glimpse of a non-radical mainstream Muslim’s experience of the West, SIKANDER is a journey of growth, self-discovery, and hope. It will touch the humanity of its readers. Along with the two Grand Prizes, SIKANDER has collected numerous other awards including Best Fiction in the Hollywood Book Festival and the Beach Book Festival and Best Multicultural Fiction in the National Indie Excellence Book Awards for 2011. USA subscribers: click here or type in http://amzn.to/OFJ11w into your web browser to receive your free copy. UK subscribers: click here or type in http://amzn.to/PG4Vh8 into your web browser to receive your free copy. The Dog That Talked to God by Jim Kraus has received an average user rating of 4.5 out of 5 stars based on 62 customer reviews. 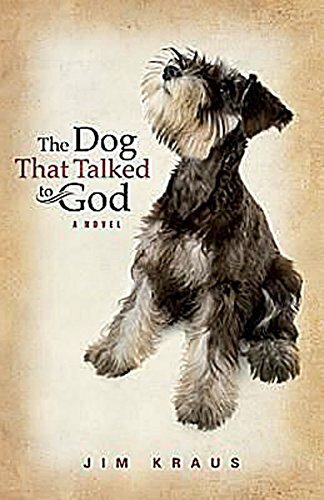 A wonderfully quirky, heart-breaking, heart-warming and thought-provoking story of a woman’s dog who not only talks to her, he talks to God. Recently widowed Mary Fassler has no choice except to believe Rufus, the miniature schnauzer, who claims to speak to the Divine. The question is: Will Mary follow the dog’s advice, and leave everything she knows and loves? Is this at the urging of God? Or is it something else? Will Mary risk it all or ignore the urgings of her own heart? USA subscribers: click here or type in http://amzn.to/PFYgco into your web browser to receive your free copy. UK subscribers: click here or type in http://amzn.to/OCEolw into your web browser to receive your free copy. The Kindle Daily Deal is a one-day only offer where a specific Kindle book has been hand-selected by the editors at Amazon and significantly discounted for today only. 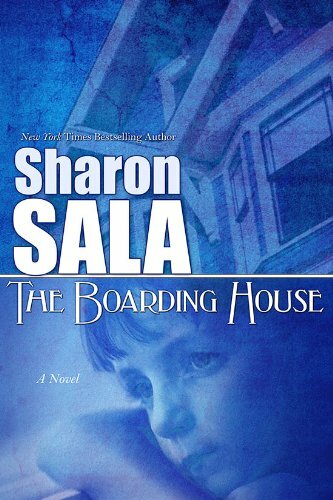 Today’s Kindle Daily Deal is The Boarding House by award-winning author Sharon Sala, and this book was $9.39 yesterday in the Amazon Kindle Store but has been discounted 79% to just $1.99 for today only. This book has received an average user rating of 4.5 out of 5 stars based on 19 customer reviews. You can pick up your copy by clicking here or typing in http://amzn.to/kddeal into your computer’s web browser. Ellie Wayne doesn’t just live. She survives. New York Times bestselling author Sharon Sala brings emotional intensity to an unforgettable story of survival, empowerment and raw courage. Ellie Wayne has grown up in frightening circumstances, damaged by a sexually abusive father and mentally fragile mother. Scarred and still threatened by a father she hates and fears, Ellie believes her future holds nothing more than danger, shame and secrets . . . until the unspeakable happens, and Ellie is forced to choose. She can claim her life or continue to hide in the shadows. One amazing man might be the miracle worker who can help Ellie see that she has the power to move on with her life, to hope for something more. If she can trust him. Readers will cheer for this amazing woman as she struggles to leave victimhood behind. Sharon Sala is a long time member of Romance Writers of America writing as Sharon Sala and Dinah McCall. She writes romantic suspense, Young Adult, and Women’s Fiction. First published in 1991, she’s a seven-time RITA finalist, winner of the Janet Dailey Award, four-time winner of the Career Achievement award from RT Magazine, five time winner of the National Reader’s Choice Award and five time winner of the Colorado Romance Writers Award of Excellence as well as the Bookseller Best Award. Her books are New York Times, USA Today, Publisher’s Weekly mass market best-sellers. Writing changed her life, her world, and her fate. Want to have this blog sent wirelessly to your Kindle vs. reading it on your computer? Try out the free two-week subscription! Click here for the Amazon page for Free Kindle Books Plus a Few Other Tips or type in http://www.tinyurl.com/fkblog into your computer’s web browser. Check out the blog’s Facebook page and give us a “like” by clicking here or typing in http://www.facebook.com/fkbooks into your web browser! The Kindle Kids Daily Deal is a one-day only offer where a specific children’s / young adult Kindle book has been hand-selected by the editors at Amazon and significantly discounted for today only. 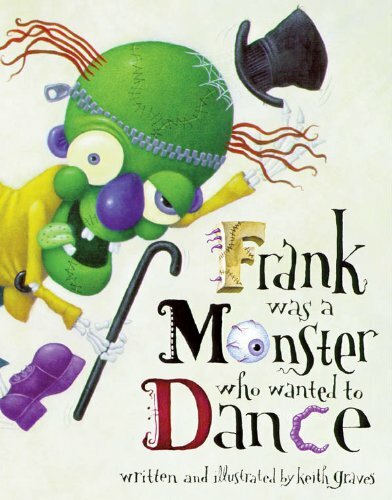 Today’s Kindle Kids Daily Deal is Frank Was a Monster Who Wanted to Dance by Keith Graves, and this book was $4.61 yesterday in the Amazon Kindle Store but has been discounted 57% to just $1.99 for today only. This book has received a perfect 5 out of 5 stars based on 39 customer reviews. Frank was a monster who wanted to dance. So he put on his hat, and his shoes made in France… and opened a jar and put ants in his pants! So begins this monstrously funny, deliciously disgusting, horrifyingly hilarious story of a monster who follows his dream. Keith Graves’ wacky illustrations and laugh-out-loud text will tickle the funny bone and leave readers clamoring for an encore. Here are 8 FREE Kindle books for you in the Amazon Kindle store to jumpstart your Friday: as of this posting, each of the books was free on the Amazon website but please make sure you check the pricing before you smack the “buy” button as the pricing can (and does) change at any time! 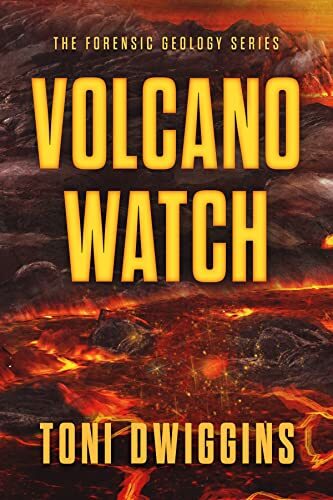 Volcano Watch by Toni Dwiggins has received an average user rating of 4 out of 5 stars based on 45 customer reviews. I received a note from the author saying this book would be free through September 2nd. On a side note, I have read this and thought it was great, and rated it a 5 out of 5 stars. If you would like to read the short and sweet review I wrote for it, you can click here or type in http://amzn.to/IFLdmV into your web browser; if you think the review was helpful, I would appreciate a “Yes” vote next to the review on the Amazon website. USA subscribers: click here or type in http://amzn.to/zs9vFi into your web browser to receive your free copy. UK subscribers: click here or type in http://amzn.to/LCw9az into your web browser to receive your free copy. 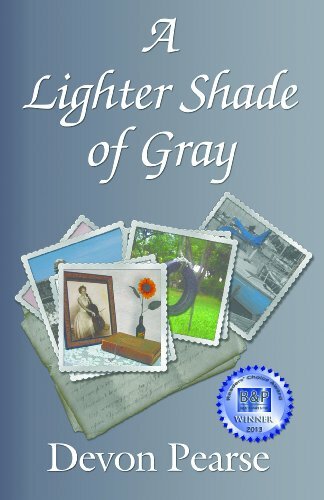 A Lighter Shade of Gray by Devon Pearse has received an average user rating of 4.5 out of 5 stars based on 35 customer reviews. I received a note from the author saying this book would be free through September 1st. What does it feel like to stare into the face of madness? Or to anticipate your own? Would you drive away your only love? Could you pretend it didn’t matter? How far would you go to protect a friend, or to avenge a death? Ten years ago, Devon gave up the love of her life, fearing she would one day fall victim to the mental illness that has slowly ravaged the mind of her mother, who is now being cared for in a private facility. Just when it seems Devon might have a chance to make up for past mistakes, her best friend Cass becomes a suspect in the murder of her sister’s drug-dealing boyfriend. Devon knows Cass is lying about the details of her involvement and the lead detective on the case, convinced that Cass is guilty, is relentless in his pursuit of justice. When her mother’s young, emotionally disturbed roommate insinuates she knows something about the night of the murder, as well as details from Devon’s own life that no one else is privy to, Devon becomes desperate to uncover the truth before Detective Lake does. As the investigation continues, Devon is led down a path she never expected and forced to face her greatest fears of life and love. Tangled in a web of lies, regrets and questions, can she find a way to let go of the past and start again? And, once the mystery is solved, can she live with the secrets she’s uncovered? Join author Devon Pearse in this semi-autobiographical journey through the most heartbreakingly beautiful and deceptively mysterious events of her own life and the lives of those closest to her. USA subscribers: click here or type in http://amzn.to/QGIKgi into your web browser to receive your free copy. UK subscribers: click here or type in http://amzn.to/RvzpqN into your web browser to receive your free copy. Dark Spells: Four Books by J.R. 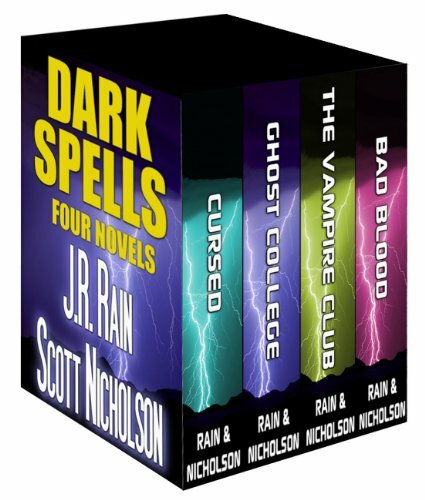 Rain and Scott Nicholson is a box set of four complete novels, and has received an average user rating of 4 out of 5 stars based on 7 customer reviews. I received a note from author Scott Nicholson saying this book would be free through September 2nd. Albert Shipway is an ordinary guy, an insurance negotiator who likes booze and women and never having to say he’s sorry. And he thinks this is just another day, another lunch, another order of kung pao chicken. Little does he know that he’s about to meet a little old lady who knows his greatest fear. A little old lady who knows what’s hiding in his heart. A little old lady who dishes up a big stew of supernatural revenge, with ingredients as follows: First you take one psychotic ex from a family of serial killers. Next add a pinch or two of an irrational childhood fear. Now thoroughly mix in an angry sister, a life-stealing great-granddad, and a notorious mass murderer—who happens to be dead but doesn’t know it. Let it stew and froth and bubble thoroughly….In just a matter of minutes, Albert’s life turns upside down and he enters a world where magic and evil lurk beneath the fabric of Southern California. And all his choices have brewed a perfect storm of broken hearts, broken promises, shattered families, and a couple of tiny problems. Namely, killer mice and a baby. Albert Shipway is finally getting a chance to right some wrongs. That is, if it’s not too late. First in a new series featuring paranormal investigators Ellen and Monty Drew. Ellen claims to possess a sixth sense but Monty, a former P.I., only believes what he can see. She views their work as a sacred mission while Monty just wants a happy wife and a paycheck. Then the Drews are summoned to a Southern California bible college after workers report hearing mysterious voices at night. When they encounter the unhappy ghost of a young girl, Monty’s skepticism is shaken, but he resolves to help his wife free the trapped spirit. Their search uncovers the Latin phrase “Non omnis moriar”—not all of me shall die—and they learn more about the site’s history as a Catholic school destroyed by an earthquake. But a mysterious presence has plans of its own for the young ghost, and Monty and Ellen must go head to head with a Dark Master that’s had more than a century of practice in demonic deeds. Now Monty must leave his body to do battle with the Dark Master, and he’s not sure Ellen will be able to bring him back in one piece. He’s not even sure what’s happening is real. All he knows is that all hell is breaking loose and he’s taking a crash course where an “F” means eternal damnation. The first in a series that features The Vampire Club, a group of lovable, laughable, larcenous college students turned vampire hunters. Over 150 years ago, a man was killed with a silver bullet in a rural, Pennsylvanian town. A man who just might be a vampire. The Vampire Club, a group of misfits who meet regularly in the basement of Western Virginia University’s library, think that they might have found their first documented case of a real vampire. Better yet, the Club thinks that the vampire might still be alive to this day, lying comatose in a hidden grave. And this is good news indeed for a group of vampire lovers. The hunt begins, and as they close in on their immortal prize, they soon realize that they aren’t the only ones interested in the vampire; indeed, a powerful group of killers will use whatever means possible to keep the vampire permanently in its grave. They call him Spider. And people come to him when they have a problem. So when teenager Parker Cole approaches Spider at night school, he figures she’s just another problem waiting to happen. But then she tells him about her father, who runs a cult called Cloudland based at the foot of mystical Mount Shasta, California. And then she tells Spider about her best friend, who is now dead, her body completely drained of blood. Spider wonders if the death is the work of a fellow vampire…or if he’s now the target of a sinister game designed to lure him to Cloudland, where darker mysteries await. USA subscribers: click here or type in http://amzn.to/PDcYLJ into your web browser to receive your free copy. UK subscribers: click here or type in http://amzn.to/QGJJND into your web browser to receive your free copy. 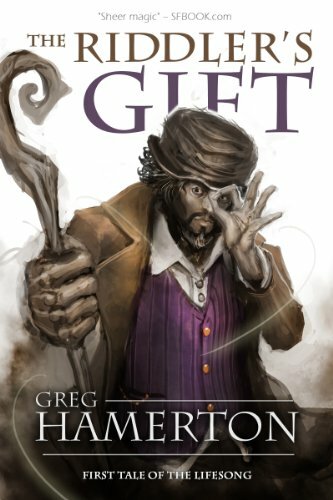 The Riddler’s Gift: First Tale of the Lifesong by Gregg Hamerton has received an average user rating of 4.5 out of 5 stars based on 34 customer reviews. I received a note from the author saying this book would be free through September 1st. A shadow steals across Eyri. One by one, the Lightgifters are snuffed out. When darkness strikes her family, Tabitha receives a dangerous legacy. Soon the Riddler walks beside her, but is he on her side? The more she searches for answers, the further into treachery she is led. The more she tries to flee, the harder she is hunted. And the more she sings the ancient Lifesong, the more the world begins to change. Can she grasp her gift before the darkness captures the last of the light? USA subscribers: click here or type in http://amzn.to/O0a09r into your web browser to receive your free copy. UK subscribers: click here or type in http://amzn.to/OMW8wn into your web browser to receive your free copy. A Child Lost in Flight: Moving on After Tragedy on Flight 229 by Mohan K has received an average user rating of 4.5 out of 5 stars based on 18 customer reviews. I received a note from the author saying this book would be free through September 3rd. USA subscribers: click here or type in http://amzn.to/S3RdvU into your web browser to receive your free copy. UK subscribers: click here or type in http://amzn.to/PDiCO7 into your web browser to receive your free copy. Want to have this blog sent wirelessly to your e-Ink Kindle vs. reading it on your computer? Try out the free two-week trial subscription! Click here for the Amazon page of the Free Kindle Books and Tips blog or type in http://www.tinyurl.com/fkblog into your web browser. Check out our Facebook page and give us a “like” by clicking here or typing in http://www.facebook.com/fkbooks into your web browser! I frequently mention my family in my weekly “rambling” posts as they usually keep me grounded in reality. With school just starting this week in the Houston area, we now have an 8th grade daughter and a 5th grade son: they keep my wife and me on our toes! That usually started a conversation over the years of random things such as the relatively unknown (yet obviously in high demand) guide to crazy blue frogs, a book of limericks or riddles, a kid’s book review club, a pirate adventure book, or even a guide to playing Pokemon; I still don’t understand Pokemon after all of these years, and I doubt many parents ever will. As with many great ideas for both kids and adults, the idea was always there but the execution never seemed to happen. So, they did – start to finish. I will tell you they spent days compiling and editing the book, collaborating, making corrections, you name it. Most important to me they learned a heck of a lot, did quite a bit of research, discussed what they wanted to do and compromised with each other (after a little arguing and some refereeing by Mom and Dad), worked on creating a book cover, and did what a lot of adults can’t do and figured out how to convert a text document to the Kindle format. What’s the title or subject, you may ask (if you didn’t ask I was going to tell you anyway)? 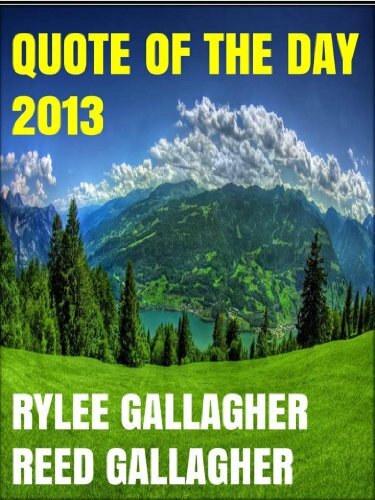 They have created a neat little book called Quote of the Day 2013, which provides a daily inspirational or humorous quote, and what they believe is something to inspire you each day or make you chuckle in your walk of life. Each quote was hand-selected by them, and features quotes from the famous and not-so-famous everyday people to begin your day. Of course, I’d love for each of you to buy a copy not only for yourself but gift several copies of the Kindle book to your friends and family! After Amazon takes their cut and the government demands their fair share, each copy sold will contribute $1.36 to their Washington D.C. trip. USA subscribers: click here or type in http://bit.ly/quotes2013 into your web browser. In addition to my daughter and son thanking you if you purchase the book, my wife and I will be thanking you more as we try to let them enjoy a spring break they will remember for the rest of their lives. If you do purchase a copy, you have my appreciation – if this Kindle book venture of theirs is a success or otherwise, I’ll keep you updated on their status! Thanks for listening, and your regularly-scheduled programing will resume soon! 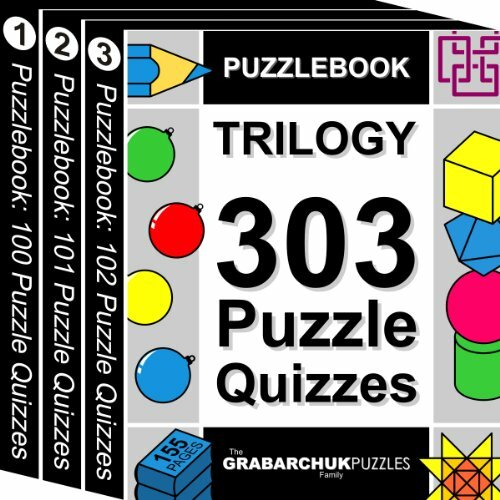 Puzzlebook Trilogy: 303 Puzzle Quizzes by The Grabarchuk Family is a free game today from the Amazon Kindle store that is normally $5.99 and it can be played on both the e-Ink versions of the Kindle as well as the Kindle Fire, as well as the various Kindle reading apps for your computer and handheld devices. The game has received an average user rating of 4.5 out of 5 stars based on 52 customer reviews. I received an email from Peter Grabarchuk who said this game would be free through September 3rd. If you haven’t played any of the Grabarchuk Family puzzles, they are a lot of fun and challenging not only for adults but both of my children (middle school and junior high) enjoy playing them, too. You can read the review I wrote for it if you click here or type in http://amzn.to/303review into your computer’s web browser. USA subscribers: pick up your free copy by clicking here or typing in http://amzn.to/303game into your computer’s web browser. UK subscribers: pick up your free copy by clicking here or typing in http://amzn.to/303gameUK into your computer’s web browser. Discover a trilogy of the Top Rated Puzzlebook: Puzzle Quizzes series – a compilation of three books: 100 Puzzle Quizzes, 101 Puzzle Quizzes, and 102 Puzzles Quizzes. In this puzzle collection you will find 303 pictorial, hand-crafted puzzle quizzes in different themes: visual, spatial, counting, geometry, matchstick, coins, searching, and much more. Over 500 000 downloads for the Puzzlebook series! Discover why thousands of Kindle users are addicted to Puzzlebooks. All puzzle quizzes are original creations by the Grabarchuk Family and delivered exclusively for Kindle. You can interactively answer and check a puzzle quiz by clicking the respective answer button. Only the correct answer leads to the solution page. The collection is specially created for all kinds of solvers – beginners, skillful, and expert alike. The puzzles are arranged so that you start with the easy (*) puzzles and progress to the hard (*****) puzzles. Enjoy it in Color Too! The book is created in full-color. Enjoy a colorful experience playing it on Kindle Fire or in a Kindle app on iOS, Android, PC, Mac, etc. Looking for more or a reliable source of free books for your Kindle? Click here for my “Free Kindle Books and How to Find Them” book (updated January 2012!). Each day, Amazon offers a free Android App of the Day that could be a game, utility, or who knows? Each deal lasts for just 24 hours and, after that period is over it goes back to paid status and a new app is the App of the Day. In addition to your Kindle Fire, these apps will also work with your Android-based smartphones and tablet computers. Today’s free App of the Day is Angry Birds (Ad Free) and this game is normally $0.99 in the Amazon App Store. It has received an average user rating of 4 out of 5 stars based on 542 customer reviews. This one of the most addictive and fun games I have played, and if you’ve only played the original free version upgrade to this one while it is free because all of the advertisements are not on this version, which leaves you more screen space to play the game. Please note: This version requires Wi-Fi to download. The pigs are hungry and eggs are on the menu; the survival of a flock of friendly, colorful birds is threatened. When the greedy green swine raid the flock’s nest, the unexpected happens: a rage is kindled within the birds that only revenge can quench! Your job is to help the Angry Birds seek vengeance against the pigs with the help of a finger-powered slingshot, a good dose of strategy, and a bit of luck. The goal of the game is to catapult each bird toward the pigs, who hide behind a variety of destructible materials. Use each bird’s unique skills to break through crates, boards, stone, ice, snow, glass, boulders, and dynamite to vanquish the devious pigs. Angry Birds turns 2! Satisfy your sweet tooth with 15 brand new birthday cake levels. Party with the amazing expandable orange bird, and check out the spiffy new menus and graphics. Unwrap special birthday achievements, and as a birthday gift to Angry Birds fans, all episodes are now unlocked. You can pick up your free copy of Angry Birds (Ad Free) by clicking here or typing in http://tinyurl.com/appdeal into your computer’s web browser. 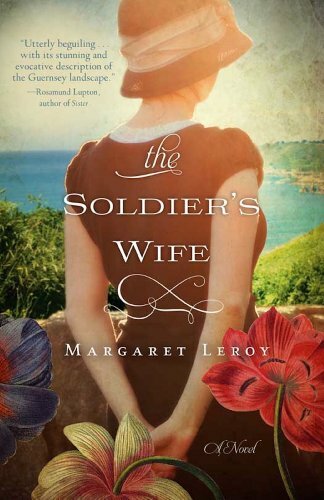 Today’s Kindle Daily Deal is The Soldier’s Wife by Margaret Leroy, and this book was $8.54 yesterday in the Amazon Kindle Store but has been discounted 77% to just $1.99 for today only. This book has received an average user rating of 4 out of 5 stars based on 82 customer reviews. As World War II draws closer and closer to Guernsey, Vivienne de la Mare knows that there will be sacrifices to be made. Not just for herself, but for her two young daughters and for her mother-in-law, for whom she cares while her husband is away fighting. What she does not expect is that she will fall in love with one of the enigmatic German soldiers who take up residence in the house next door to her home. As their relationship intensifies, so do the pressures on Vivienne. Food and resources grow scant, and the restrictions placed upon the residents of the island grow with each passing week. Though Vivienne knows the perils of her love affair with Gunther, she believes that she can keep their relationship—and her family—safe. But when she becomes aware of the full brutality of the Occupation, she must decide if she is willing to risk her personal happiness for the life of a stranger.